To our valued clients, now that we've helped you secure automobile insurance coverage for your newly licensed son or daughter here in Virginia, Maryland, and DC, do yourselves a favor and make sure you periodically review with them what to do in the event of an accident. The following words of advice could save you both money and legal problems. Never leave the scene of an accident. Regardless of how bad the accident is or who is at fault, most state laws require you to stop. If you drive away, you can be charged with a hit-and-run even if you are not at fault. A minor accident is an accident that does not involve any injuries or large scale damage to any vehicles or property. If there are any injuries, if the accident is blocking a lane of traffic and cannot be moved, or if there is significant damage, call the police immediately. Low impact fender-benders or hitting a parked car in a parking lot would be examples of minor accidents. Assigning Blame. For any type of accident, your teen should never admit fault or apologize. On the other hand, your teen should never accuse the other driver of being at fault. Immediately after an accident is not the time to play the blame game. The insurance companies can solve that argument. Never sign anything unless it is from a police officer. Your teen should not allow himself to be bullied by the other driver. What is said and done after a car accident can impact the insurance claim. Sadly, some adult drivers will be aggressive and try to take advantage of a distraught new driver. Make sure everyone involved is OK. If so, move the cars off of the road and away from traffic, turn your hazard lights on, and turn the cars off. There could be damage to the engine or your car may be leaking fluid. A car fire would certainly make the situation worse. Then, inspect all cars involved for any damage. When to file a police report. 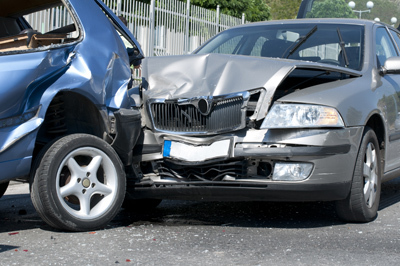 Some minor accidents do not cause any visual damage or immediate injury. To a teenager, quickly clearing the matter up and driving away can seem like an easy way out of trouble so the parents do not find out. Your teen needs to be aware of the consequences of not filing a police report. Even if the other driver claims to be OK and refuses emergency treatment, they can always come back months or years later and file a lawsuit claiming damages. If you have a police report, you have the evidence to plead your case. Without the police report, it’s your word against theirs. Unfortunately, it’s easy to side against a new driver. Therefore, we suggest always contacting the police. After getting a police report and deciding to file a claim, contact your insurance company and let them know about the accident and follow their instructions. In the event your teen decides not to contact police, make sure he gets contact information for the other driver, asks for proof of insurance, and writes down the insurance information. He should also write down the license plate number and a brief description of the car. In the future, this information might be needed. You can never been too cautious, and asking for this information is standard procedure when involved in a car accident. We'll be glad to talk this over with you personally. Accidents happen and you need not worry....we've got your back!